I was lucky to be invited along with celebrities, fashion industry insiders, media and fashion bloggers to attend the private unveiling of the Baileys glass dress and the high-end couture Lucian Matis fashion show. While some shows were happening on the last day of fashion week at David Pecaut Square, it was a special treat to be part of an alternative closing to Toronto’s fashion week. The evening at One King West started with a reception featuring 3 types of unique Bailey’s cocktails and rich desserts passed around. It was a nice touch to be greeted with Lucian Matis-branded swag bags on each seat. So the reception ended and show started with the one-of-a-kind dress as the first onto the runway with no introduction needed. It was just there and the glass was shimmering beautifully. It is composed primarily of pieces of glass from the new Bailey’s Irish Cream bottles as well as other flat glass and multi-faceted beads. Since the shards of glass are flat, we were assured that no models were injured by the dress (thanks, Chris!). It took over 125 hours and a team of three skilled workers to create. The work-of-art takes inspiration from the new silhouette of the Bailey’s Irish Cream bottle and the iconic ‘Double B’ logo was prevalent for the top half of the dress. Similarly, the redesigned Bailey’s bottle is taller with lifted shoulders and gives the logo greater prominence. 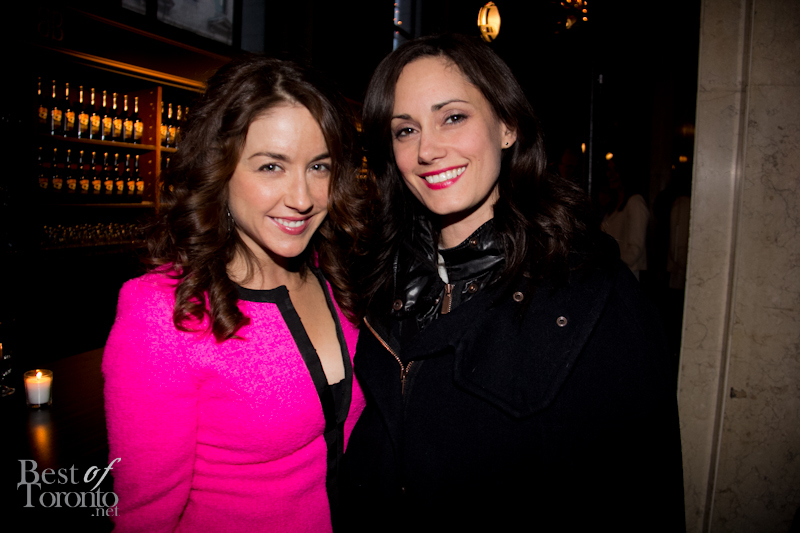 Those in attendance included David Sutcliffe from CBC’s Gilmore Girls, Erin Karpluk from CBC’s Being Erica, Gabrielle Miller, Natalie Brown (Being Human / Cracked) and Rosey Edeh (Global News). Check out photos from the fashion show entitled a “Monochromatic Fantasy” consisting of black, white and ivory using fur, felts, wool and silk. Also check out our photos from the MATIS by Lucian Matis collection for Fall / Winter 2013 earlier during fashion week. A shuttle was provided for those who wanted to return to David Pecaut Square to get back in time for the next fashion shows there. Watch the behind the scenes video on the making of the glass dress. Baileys® Canada Fashion Week | Lucian Matis from Baileys Canada on Vimeo. Baileys® Canada: Lucian Matis | Behind the Scenes from Baileys Canada on Vimeo. Romanian-born, Toronto-based fashion designer Lucian Matis began designing at a very early age. Prior to moving to Canada in 1999, Matis studied art at the Sibiu Art Institute in Transylvania. Matis graduated in 2003 from Ryerson University’s esteemed Fashion Design Program where he received multiple awards. His first professional collection was presented at L’Oreal Fashion Week for Fall/Winter 2007. Matis gained national attention and a vast fan base through his participation on the first season of Slice Network’s Project Runway Canada. He has since been featured in several in-depth profiles on Fashion Television, eTalk, ET Canada, Breakfast Television, CityLine, Marilyn Dennis, Global News, CBC, and more. His work has graced the pages and covers of numerous national and international publications, including FASHION, FLARE, ELLE Canada, Globe & Mail, Toronto Star, National Post, and Women’s Wear Daily. His designs have been worn by numerous internationally renowned celebrities, including Nelly Furtado, Sarah Gadon, Andrea Martin, Mia Martina, Coco Rocha, Petra Nemkova, just to name a few. Lucian Matis is available through custom orders through www.lucianmatis.com. BAILEYS Irish Cream launched in Ireland in 1974. It is now available in 180 markets worldwide and is the number one selling liqueur in the world. BAILEYS Irish Cream is currently ranked 7th among all distilled spirits sold worldwide and enjoys 70 percent share of the total Irish Cream Liqueur Market around the world. Owned by Diageo plc, BAILEYS Irish Cream contents are a blend of Irish whiskey, fresh double cream and other fine ingredients. 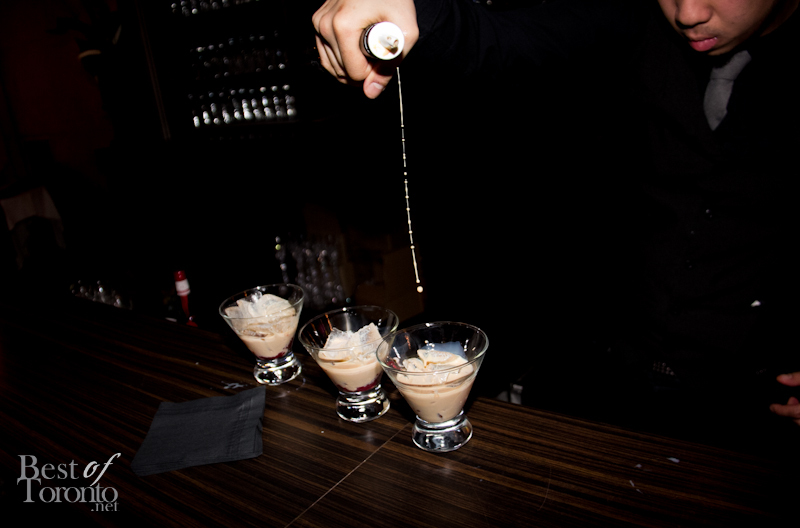 For more information on BAILEYS Irish Cream, please visit us at www.BAILEYS.com. Canadian Special Events Expo Opening Night Party "Unexpected"